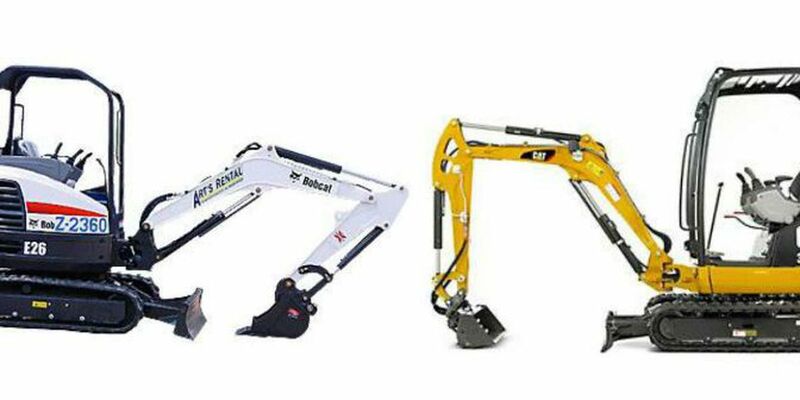 MYRTLE BEACH, SC (WMBF) – Two excavators were stolen from two Myrtle Beach work sites earlier this month, and police are asking for the public's help in locating the equipment and the suspect or suspects responsible. Both excavators were stolen sometime between December 12 and December 15, according to news releases from the Myrtle Beach Police Department. "The equipment was taken from the work site, and the equipment that was taken was two large excavators," Lieutenant Crosby said. Lieutenant Joey Crosby explains police are still working to pin-point the exact time frame for each crime. "According to the incident reports, there's a time frame given in which the complainant states there's a time from in which the equipment was last seen and to which it was found discovered. So, there's a wide, wide range of time there where the items could have been taken," Crosby said. A white 2013 Bobcat E26 excavator was stolen from a site near Farrow Parkway and Highway 17, according to police. The excavator was rented, belongs to Grand Rental Station of Surfside Beach, and is valued at $35,000, according to the police report. The other excavator was stolen from a construction site near the Backgate at US-17 Bypass and Socastee Boulevard, according to the police report. The tractor was last seen on Friday, December 12 with no key left in the machine. Jeff Sellers lives close to the backgate. He is very familiar with construction equipment and believes these thefts could be one of two things. Sellers said one of his immediate thoughts: it had to be an inside job. "If these folks are desperate and they need money, [the said crime is] like robbing a bank," Sellers said. Or, Sellers said it had to be a plan because it wouldn't be easy, or cheap. "You'd need a big truck with a lowboy trailer. You would need a $200,000 set-up probably, to pull it off," Sellers added. Sellers also pointed out the backgate has been under what seems like 24/7 construction and feels that could be why no one noticed any suspicious activity. "I think with them working 24 hours a day, seven days a week, it probably didn't look abnormal to anyone," Sellers explained. Police saw dirt track marks from the tractor's last parked location out onto Macklin Road, but the tracks faded near the area of Foral Drive. According to the police report, the machine could have been loaded onto a trailer there. Police provided a picture of a tractor similar to the one that was stolen: a yellow CAT 301.7D mini-excavator. Anyone with information on the whereabouts of the stolen excavators, or the person or persons who stole them, is asked to contact detective Sutton at 843-918-1903.